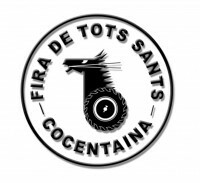 Let us take the coming celebrations to the mythical Fair to All Saints’ Day as a chance to visit a town near Alicante named Cocentaina which is located in the north of the province very near to the border to the Valencian province. It is a location surrounded by the nature park Serra Mariola and impressive by its grand history. 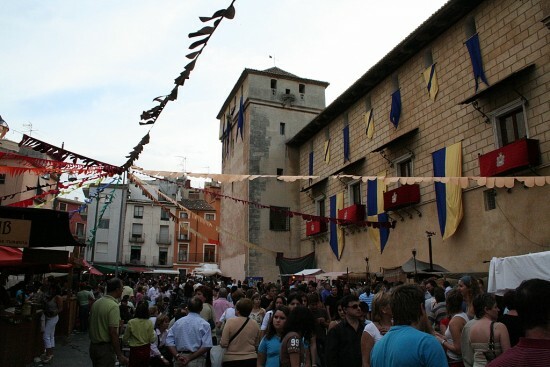 The name Cocentaina, capital of the area Comtat, is inevitably connected to the Fair of All Saints which reaches back to the year 1346, when King Peter IV of Aragon, named The Ceremonious, awarded the privilege for this celebration to the count auf Cocentaina, Roger de Lauria. It’s the second fair in the age of Spain, declared as Festival of National Tourist Interest, and it is celebrated every year around the 1st November, the All Saints’ Day. After its foundation it lasted for 15 days which contributed to a lot of fame, such as the first commercials. Nowadays it only lasts for 4 days – this year it starts on the 30th October – in which many other festivals were integrated. The most important of those festivals is the Maquinaria Agrícola Fair, where trucks, cars and other machinery for the countryside are exhibited. Other parts of the fair are the Arabian zoco, the Christian market, the horse fair, fairs for other animals and more attractions for kids. Also, there are other exhibitions near the fair such as handcrafts and street art, which may give you an idea of the size of the event (an expanse of about 130.000 m2). Around half a million people come to visit it during these 4 days. It’s a unique opportunity to get out of the city for a time and to get to know traditional trade that survived in the countryside. 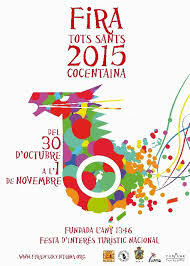 To try it is the success that the event in Cocentaina still has. To visit this since pre-history living place goes with other attractions such as the three rock coats of the schematic art, the one of Alberri, the one of Paella and the one of Penya Banyà, which were declared as World Heritage Sights in 1998. Because of its strategic location Cocentaina always was a very important site in the Roman, the Muslim and the post-reconquista time. Important marks of these peoples that are worth visiting are remains of the Muralla, which are more than a kilometer long, and the Barrio de la Villa. Other important monuments to visit are the Castillo, the Palacio Condal in gothic-renaissance style, both build in the 13th century, and the monastery de las Clarisas. Also it is important not to forget the natural heritage, the nature park Sierra Mariola, a mountain massif with a grand variety of landscape, medical plants and Mediterranean trees like pines and some areas with oaks, yew trees and maples. There are also many marked paths for hiking at different levels of difficulty. To learn Spanish as a foreign language which is offered by the language school Proyecto Español in Alicante means much more than just to learn phrases, vocabulary and grammar. We also intend to teach our students cultural and historical contents as well as traditions of the Region of Valencia.